The following is a translation of a conference given by Fr. Roberto Spataro on September 30, 2017, in Mantua, Italy, at the Church of Ss Simon and Jude. The conference was entitled “La bellezza della liturgia si fa evangelizzazione (EV 28)”, given on the occasion of the 10th anniversary of the motu proprio Summorum Pontificum. It is included (along with another that has appeared on NLM) in a volume of Fr. Spataro’s essays soon to be published by Angelico Press. This translation by Zachary Thomas has also been published on Canticum Salomonis. We might say that there have been two complimentary conceptions of beauty in the history of Western civilization . The first considers beauty as the pulchrum, a proportion and harmony of parts, the perfection of form, integrity and elegance. It is an Apollonian conception found especially in the art of Greece. It appeals to reason and insists on the objectivity of the beautiful. The other conception, expounded especially by Kant, interprets beauty as a species, a sort of luminosity that breaks in upon an object, expands its substance, orienting it outside of itself and putting it in relation with the subject . The whole is in the fragment, as Urs von Balthasar would have said, that great Swiss theologian who, in his monumental work The Glory of the Lord, developed a convincing re-reading of theology in an aesthetic key. It is not by chance that there was a great harmony of thought and feeling between Hans Urs von Balthasar, theologian of beauty, and Joseph Ratzinger, pope of the liturgy and vindicator of the rights of the Latin Mass. They share a Dionysian conception of beauty that appeals to the senses and focuses on the subject. Both these aesthetic conceptions are in agreement that beauty is always very attractive. 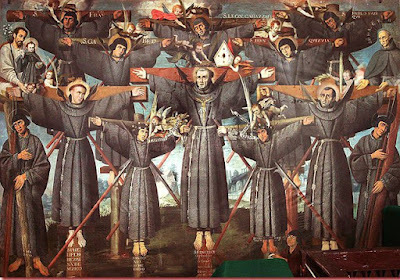 For this very reason, in Thomistic philosophy it is associated with the other transcendentals of being--unity, truth, and goodness--as part of the moral and spiritual fruition of the subject who experiences it. Now if we apply these categories to the Tridentine liturgy, we will easily grasp why it is beautiful. Let us try to apply the other conception of beauty to the Tridentine liturgy. The senses of one who assists at it are touched by the Sacred, the mysterium tremendum et fascinans, to use the famous definition of Rudolf Otto. They are pervaded by a thrill of spiritual joy, to invoke the great bard of the divine beauty, Augustine of Hippo. The Sacred, i.e. the perception of God that follows his manifestation, excites both reverence and adoration, because he is tremendum; and love and attraction, because he is fascinans. 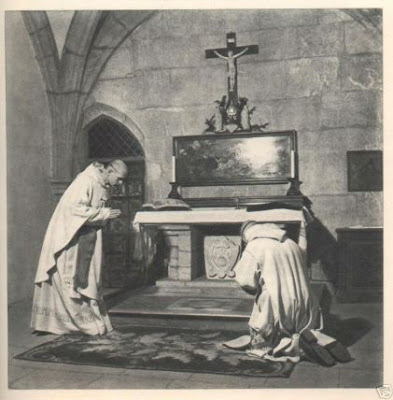 Can anyone deny that reverence and adoration are especially present in the Tridentine liturgy, while unfortunately they are not well preserved in the Novus Ordo? 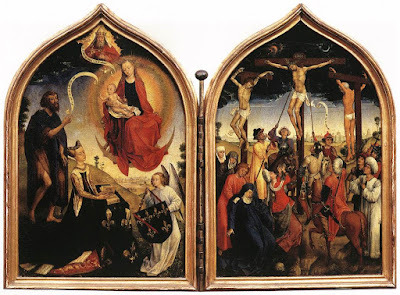 Who would not agree with the claim that the priest—mark you, the priest, the sacrum dans and not the president of the assembly—ministers, and faithful, are all intimately drawn, (while each remaining in his proper place), toward the center of all and everything, the Crucified One enthroned on the altar, where the Sacrifice of the Cross is presented to everyone’s gaze, so that everyone may love it? 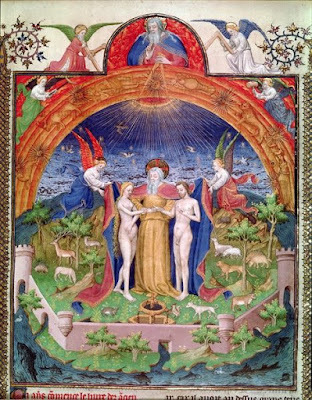 This manifestation of the Sacred, transcendence and immanence, Heaven and earth, divine and human, is not merely the religious archetype identified by Otto, but the incarnation of the divine Word that wills to use the Sacred to reveal his Beauty in a human form: the divine person of Our Lord Jesus Christ, who has united human nature to his divine nature, and thus rendered his divinity accessible to human senses. This logic of the incarnation extends to the sacred liturgy because—as the Fathers of the Church taught and the Catechism of the Catholic Church has recalled in a timely manner—quod redemptoris nostri conspicuum fuit, in sacramenta transivit. (“what was visible in our Savior has passed over into his mysteries”: CCC 1115, citing Pope St Leo I, Sermon 74, 2). 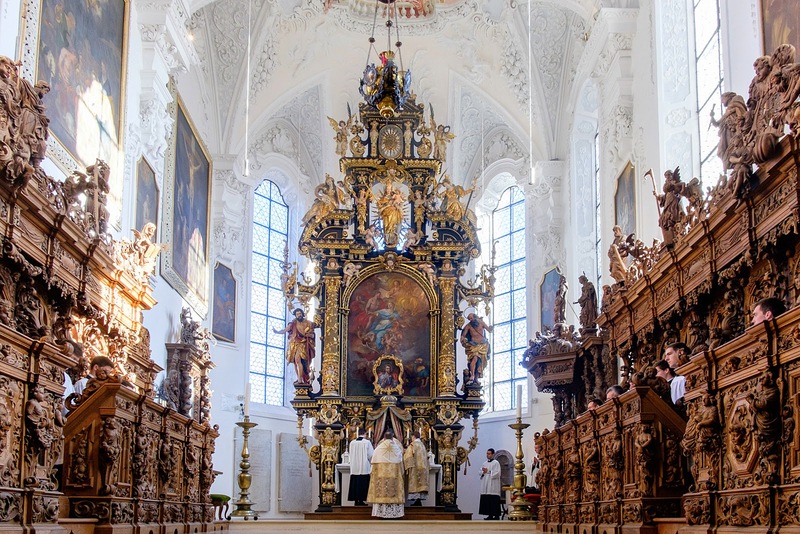 Beauty strikes the senses, and the Tridentine liturgy strongly affirms the aesthetic dimension. The Tridentine Mass is truly evangelical because it is Christocentric. Just think of its conclusion: the proclamation of the prologue of the Gospel of John. It is like a hinge joining the liturgy to the daily life to which we are about to return. It proclaims the heart of the Gospel, the Mystery of the incarnation, with the beauty we have been speaking of: the hieratic movement of the priest toward the Gospel side, the reading, the genuflection at the words et Verbum caro factum est, and during the Sung Mass, the musical piece performed by the schola cantorum. The Church is evangelized during the celebration of the Tridentine Mass because, as the fourth-century Father of the Church and author of very valuable liturgical-mystagogical catecheses, Cyril of Jerusalem, said, the teachings of Sacred Scripture must be gathered into a summary, the regula fidei (“the rule of faith”), the Creed of the catechism. 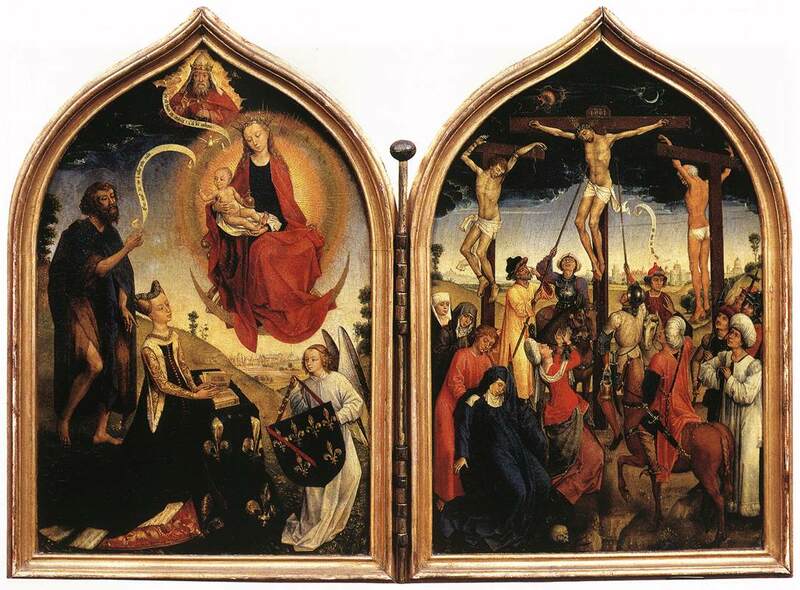 But the Tridentine Mass itself is a catechism in action, tying us intimately to the Gospel of Christ. “What are the two principal mysteries of the Faith?” asked the unsurpassable Catechism of St Pius X. The Mass tells us. 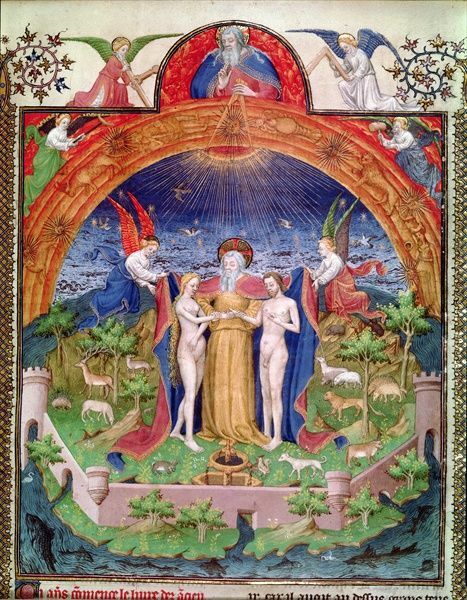 We profess our faith in God’s unity and trinity when we turn to the three divine Persons at the beginning of the Mass in the nine-fold Kyrie eleison, three times invoking the Father, three times Christ, and three times the Spirit. We adore their majesty when we sing the Gloria. We implore them to accept our offering at the Offertory. We express our desire for them to accept the sacrifice in the prayer just before the final blessing. As for the mystery of our Lord’s incarnation, passion, and death: how many signs of the cross does the priest trace out, especially during the Canon? The whole ancient liturgy and all of its texts are steeped in the theology of the Fathers of the Church, rather than the ideas of the experts and specialists of the twentieth century, and its rites are a compendium of the Holy Gospel, the Church’s real treasure that has been translated into doctrine and summarized in the Catechism. Deus qui humanae substantiae dignitatem mirabiliter condidisti [creation] et mirabilius reformasti [redemption], da nobis per huius aquae et vini mysterium eius divinitatis esse consortes [divinization and the life of grace], qui humanitatis nostrae fieri dignatus est particeps [incarnation]. ~ O God, who did wonderfully create human nature, and more wonderfully still restore it, grant us through the Mystery of this water and wine, that we may be made partakers of His divinity, who deigned to become a partaker in our humanity.